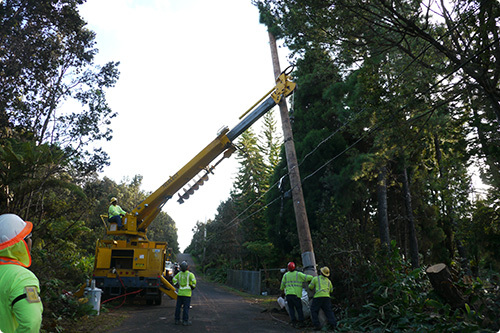 Hawai‘i Electric Light (HELCO) crews are working to safely restore power to customers who have lost electricity as a result of windy conditions affecting Hawai‘i Island Tuesday, Dec. 5, 2017. The windy conditions caused trees to fall into power lines and break lines. 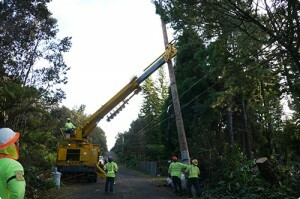 Crews work to restore power. 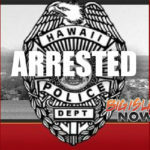 Photo courtesy HELCO. Treat downed power lines as energized and dangerous. Use generators outdoors and away from flammable materials. Generators connected directly to your home may feed excess electricity back into power lines, creating a public safety hazard. Plug appliances directly into your generator using extension cords. 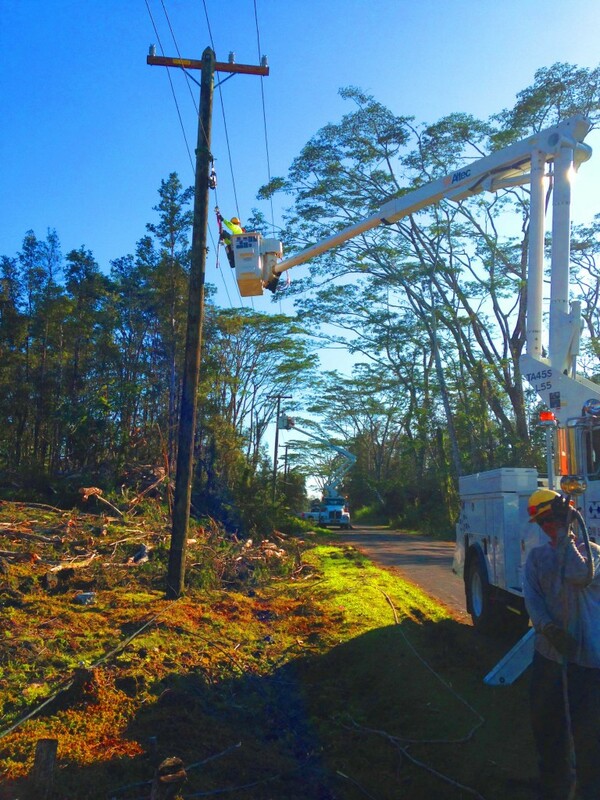 If the service line directly to your home is down, call HELCO at (808) 969-6666.